Realme 3 arrived with a Helio P70 chipset in India back in March, but the company said it would hit other markets with the Helio P60 platform by Mediatek. One of them is Pakistan, where the phone just made an official debut. It will be available for purchase on April 20 at online and offline retailers, with prices starting from PRK21,999, which is about $155. The Realme 3 has two memory configurations - 3/32 GB and 4/64 GB. The low price is for the first one and will be only at the local online retailer Daraz. The roomier version is priced at PRK28,999 (about $205) and can be bought offline at “all major mobile phone markets across Pakistan”. The phone is marketed as the “Prettiest Power King” and the advertising campaign has a “Powered by Oppo” slogan tagging along, raising questions about the separation of the sub-brand from the mother company. this is bang for the buck. 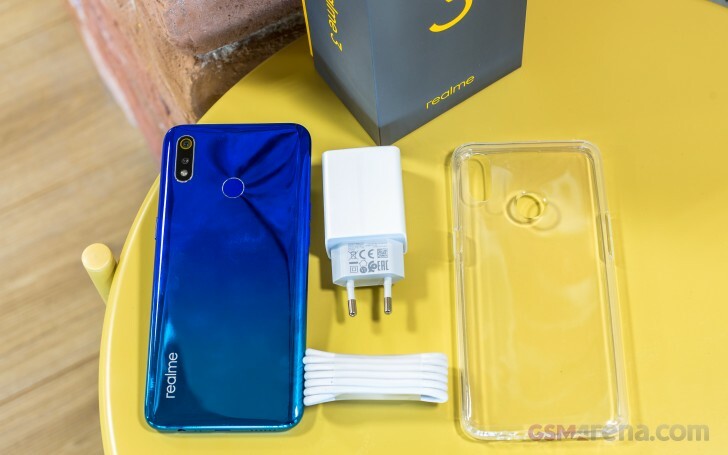 realme 3 available for 22k has better cameras helio p60 and good battery. Vivo Y93 on the other hand available for 25k is totally rubish as is the Honor 8C for 25k. So it has been confirmed by Realme that for after sale services, Realme users have to visit OPPO service centers. That makes separation more doubtful. P60 not P70, although there is minor difference in both.